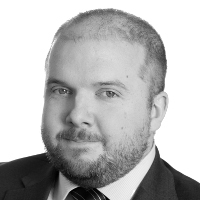 Dafydd Bevan is an IP lawyer who advises clients on the enforcement and commercialisation of IP. On the patent side, he has particular experience of advising clients on the litigation and licensing of TMT, electronics, software and mechanical patents. He has a broad range of experience, from broadcasting technology, network communications and internet applications to oil and gas machinery such as tong-positioning devices, wellbore technology and shale shakers. Bevan also has considerable experience in advising on the interaction of UK litigation and opposition proceedings at the EPO, working on oppositions with parallel UK proceedings.